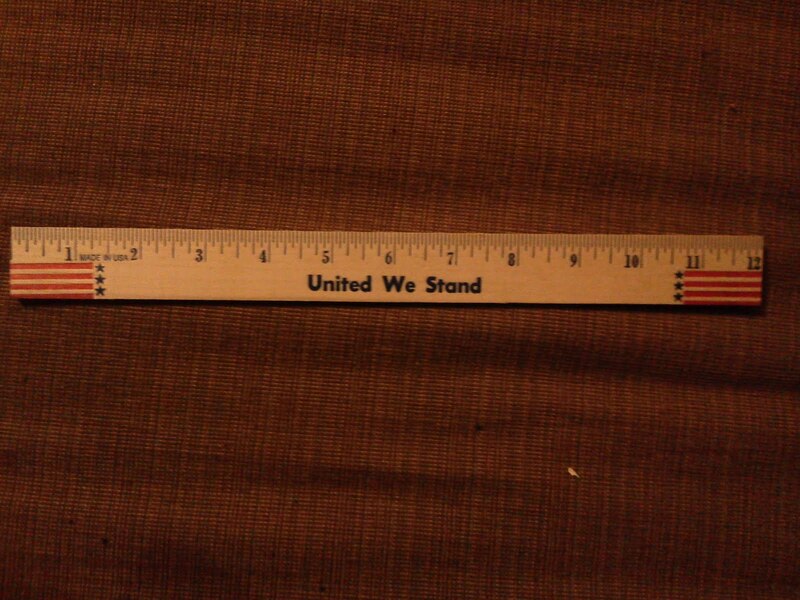 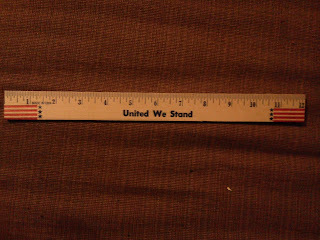 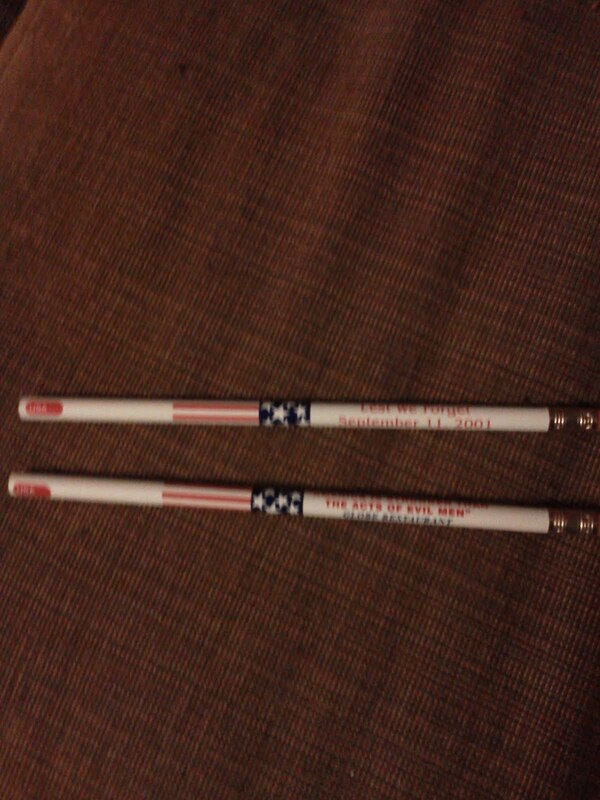 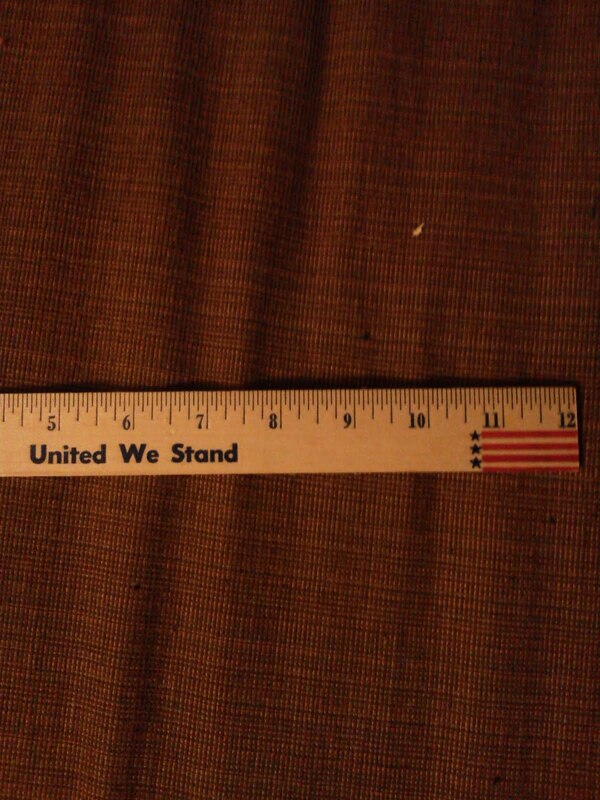 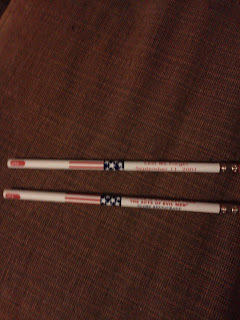 Here are 2 tribute pencils and a ruler. 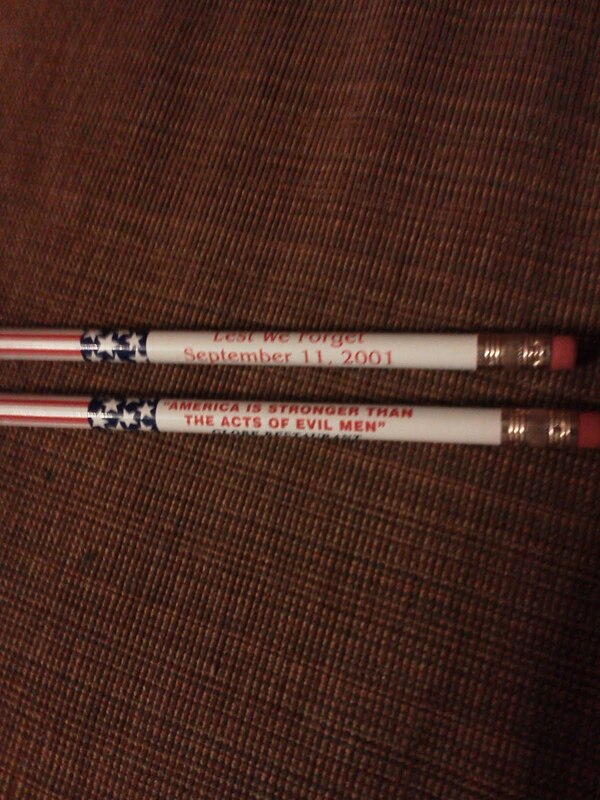 Everyday items reflecting specific references to 9/11. 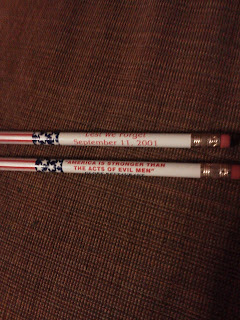 As with other items, American patriotic symbolism is always a key part of appearance.